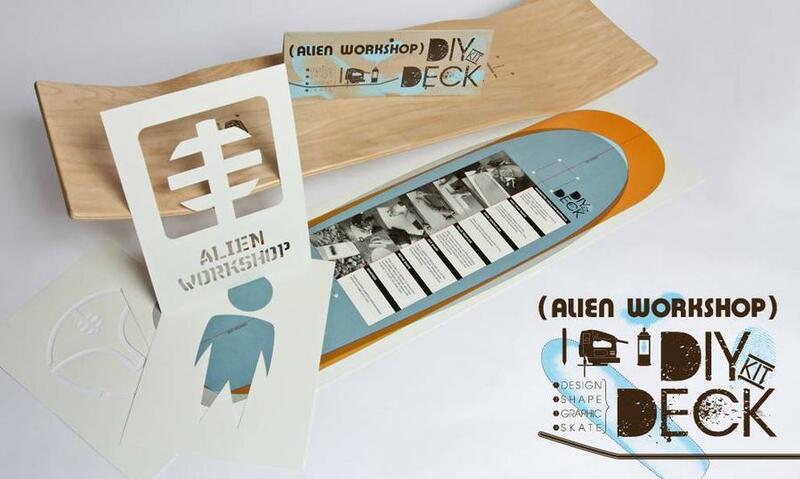 The Alien Workshop DIY DECK KIT is my final assault on Xmas! What better gift to give, or receive for the industrious skateboarder. (I bought one for myself and gave one as a gift) You actually get to make your own shape with this uncut 7ply deck! Templates and stencils are provided to get you started and make sure the truck holes aren’t crooked. Other then that, its up to you. Make your own, Hosoi hammerhead rip-off, Mutant, or get out your traditional wood carving tools and go Oriental. What? Christmas is over you say? We’ll I believe in a scorched earth policy. I don’t have to sow the soil with salt so nothing will ever grow again, but I will. Besides, two nights left in Chanukah fool! And lets get real and a little political here. The people who claim there is a “War on Christmas” are upset that their white supremacist christian world has lost its dominant position to all us mud people and heathens. No one cares if you say Merry Christmas. However a lot of companies looking to make a buck selling stuff to people that may NOT celebrate Christmas just choose to make their marketing pluralistic. Oh, and Happy Boxing Day!